Expectations: High, after how much I enjoyed The Twin Swords. The Red Lotus Temple has been burned to the ground and the twin swords of Chin Ping and Jimmy Wang Yu have been entrusted with the beautiful but lethal Phoenix Lute. The lute is more than a simple musical instrument, it is capable of shooting hundreds of needles at once; crippling, killing and maiming anyone in its path. They must take it back to the Jin family, where it is to be destroyed by the Fish Intestine Sword (or the less-fun translation, Invincible Sword). Expectations: Low. The first film was OK, I don’t expect this will be too much different. I have heard it is better though. This is more like it. 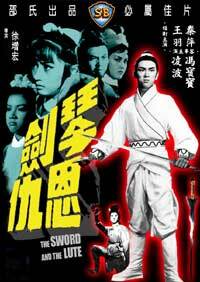 I hope you like martial arts fantasy movies, because The Twin Swords packs lots of imaginative fun into its compact runtime. Starting off with the final scene from Temple of the Red Lotus, our heroes Jimmy Wang Yu and Chin Ping battle through the villainous scoundrels of the Red Lotus clan. They are once again saved by the quick darts of the Scarlet Maid, but the forces of evil are not known for resting on their laurels. They quickly concoct a plan to lure our heroes and their twin swords straight into the Red Lotus temple, which has been newly retrofitted with tons of lethal traps! Expectations: Moderate, as this is such an early Shaw and it’s bound to be rough, but I’ve been building a lot of mind-hype for this over the past few months. 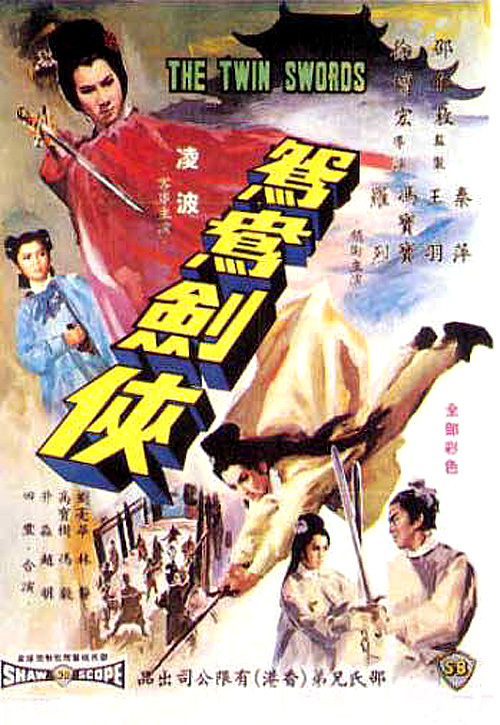 It all had to start someplace, and for the Shaw Studios, this is evidently the first of their films to include martial arts sequences. It fared very well at the box office, spawned two sequels (which I will be looking at in the coming weeks), and launched an entire genre. 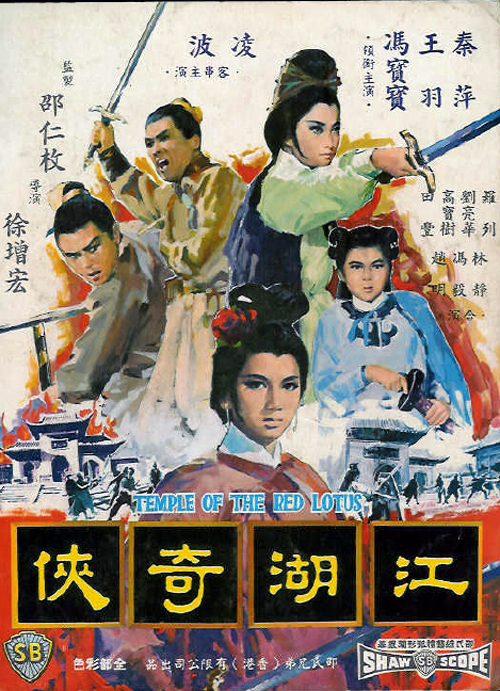 While Come Drink With Me and The One-Armed Swordsman may be more well-known films from this early period in Shaw history, Temple of the Red Lotus was their first color martial arts film and is notable for that if nothing else.